I definitely recommend the volume to budding math enthusiasts, and seasoned ones as well! 1) Just by way of introduction can you briefly recount your own path to becoming a professional mathematician? From about grade 7 on I was very fortunate to have had excellent mathematics teachers. Geometry was almost entirely doing proofs; proof was a wholly unexpected concept for me and greatly sparked my interest. Of particular importance though was my 10th grade mathematics teacher, John Wells, who emphasized mathematics as a creative subject. He encouraged and supported my mathematical interests, including advocating my application to the Hampshire College Summer Studies in Mathematics led by David Kelly. Attending that program was undoubtedly the most important catalyst in my path to becoming a mathematician. 2) Your prior writing seems to be mostly technical or academic in nature… what made you decide to write a “popular” math book, and who would you say the book is primarily written for? 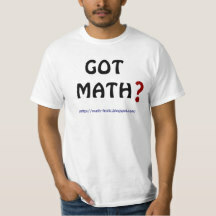 I find that most people do not have a good sense of what mathematics is about. It seems to me that all the “good stuff” is left out of a typical high school curriculum. It is not unusual for me to meet people that know what a prime number is, but have no idea (and likely never considered) that there are infinitely many or how one can prove this. Showing that there are infinitely many primes is certainly accessible to high school students. We don’t teach English to students just so they can read instructions and write advertising copy. Were we to teach English the way we teach mathematics, we’d omit reading any Shakespeare and students would conflate spelling and literature, just as most people conflate arithmetic and mathematics. I recall (with horror) attending a presentation by a highly distinguished journalist who quipped that he “could never understand what an isosceles triangle was” and the audience laughed in agreement. 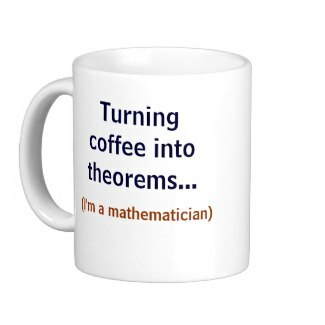 My goal therefore is to provide a bit of an antidote: to present exciting mathematical topics that are accessible at the high school level that readers can enjoy. 3) What might you say sets your book apart from many other volumes that cover similar topics… or why might someone familiar with these topics still enjoy reading your volume? I tried in this book to “get to the point” for my reader. One can purchase entire books on (say) the number π but I sought to give my reader a “tasting menu” of great mathematics in which each chapter stands independent of the others. That way the reader can skip around, or put the book aside for a while to return later for another round of fun. 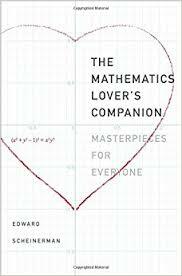 4) What were some other subjects you considered for inclusion in the book, but in the end didn’t make the cut as math "masterpieces”? I struggled mightily to write a chapter about the Axiom of Choice. I was not able to present it in a way that I thought my readers would find intelligible and interesting. I think it’s just too technical and the path to interesting consequences (e.g., nonmeasurable sets) too difficult for my intended audience. 5) Who have been some of your own favorite “popularizers” of math over the years? Without doubt one name stands above all others: Martin Gardner. I avidly read his Scientific American column and his many books. 6) The first two parts of the book essentially cover elements of algebra and geometry, fitting topics for a math volume, while Part 3 is about “Uncertainty” (a favorite topic of mine). Can you say a little about how that came to be the third big subject area of the book? I must admit that the organization of the book arose after the chapters were written. I had (nearly) two dozen independent chapters and sought a way to arrange them. The broad headings of number, shape, and uncertainty worked. 7) Do you have any further “popular” math books in mind to write? Both I and my editor are encouraged by the positive reception this book has been getting (including a shout-out in the New York Times Review of Books) so I’m working on a Mathematics Lover’s Companion, Volume 2. My first chapter is written and it’s a “do it yourself” introduction about mathematical research that will demonstrate the process (including some of the frustration and then the joy) of mathematical discovery. It should be widely accessible even to folks whose algebra has completely rusted. Newly showing up in bookstores, “Unsolved” by Craig Bauer will likely appeal to a wide audience — didn’t ALL of us math-lovers at some time play with cryptograms as a kid… and many carried that interest into adulthood. And even many others, without a direct interest in math, carry a fascination with the mystery, game-playing, and intrigue of ciphers. This is a 500+ page imposing volume from Princeton University Press. Though I’m not particularly fascinated by cryptography in general, I found the chapters on some of the most famous/familiar cases (the Voynich Manuscript, the Zodiac killer, the Cicada internet ciphers) quite gripping. There’s hardly any actual math in the volume, but of course solving cryptographic messages is very much an activity of thinking mathematically, so I feel justified to speak of the book in the popular math category, and don’t doubt mathematicians will find it interesting (the author is a mathematician himself). Included are a few ciphers that have been solved, as examples, but the book very much concentrates on UNsolved ones. So for those who like working on such things there’s loads of work/play here (and the volume has an associated website for even more followup; also toward book’s end the author casually mentions the possibility of an eventual 2nd volume coming out). Most of these ciphers were new to me, though I suspect for those really plugged into this subject many will be very well known. I found myself more engrossed in the contents of the volume than I’d expected because unsolved cryptographic messages (and the minds that create them) are so inherently interesting, and come in so many different forms/contexts; and they stretch across centuries right up to modern times and modern technologies. The book ends with a chapter on potential communication with extraterrestrials, and description of RSA cryptology. Worth noting also, that it is possible some of the ciphers included are hoaxes and utter nonsense, but even figuring that out would require great effort/detective work.